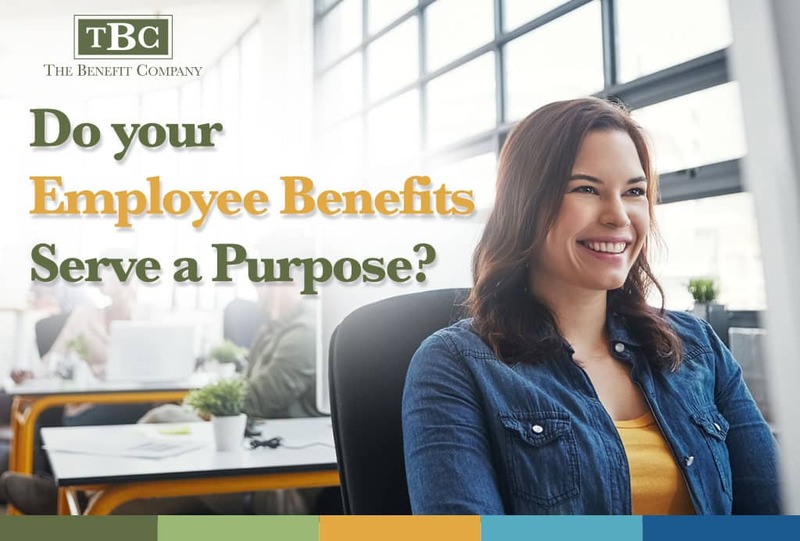 Do your Employee Benefits Serve a Purpose? Employers are once again being challenged with workforce staffing and readiness due to improving economic trends and an aging workforce. Said another way, employees are increasingly mobile – to other employers or into retirement! The first paragraph in my Risk Management college text said, “Employee benefits are designed to help attract and retain employees as part of total compensation.” Such is true, and yet there has been, over the past several years, a slippage in leveraging benefits as an attraction and retention vehicle. Still, outside of wages and salaries, employer benefit contributions equate to an average of 37% of total employee compensation in the U.S. (1) – a significant investment. Does the benefit investment employers make on behalf of their employees pay off? Consider that 55% of large company employees fail to actively enroll (make benefit changes) during open enrollment (2). While the rate of active enrollment has been up in recent years, employees are still not engaged in their benefit selection at a level commensurate with employer benefit investment. Under a passive/default type of enrollment (i.e., “give me what I had last year”), the opportunity is lost to educate employees about new corporate health management incentives, innovative consumer directed plan designs and other improved services such as telemedicine and price transparency tools. As is the case with any strategy related to culture, Senior Management buy-in is imperative in order to improve staff engagement. Further, it is important for front-line management teams to understand the power of employee benefits as it relates to improving employee satisfaction, lowering turnover and enhancing employee productivity. Open enrollments should be viewed as engagement opportunities versus an operational distraction, meeting drudgery, and an organizational expense. I find many operationally minded supervisors are rightly focused on work schedules and front line productivity, and many are measured and compensated accordingly. This dynamic can create disincentives for broad supervisor support for the time needed for effective benefit communications, especially including pushback on group meetings, on-the-job access to communication kiosks and other enrollment methodologies. How can Business and Human Resource teams gain the confidence of Operations? In Jeffrey Fox’s book, The Dollarization Discipline, readers are encouraged to compare the value of a particular item to a related metric understood by the stakeholder. To use an example in employee benefits, consider an employer with an average wage rate of $19.00 per hour ($39,520/yr). That same employer provides each employee with health and welfare benefits costing the organization, on average, $8,500 per year (21.5% of total compensation in this example). Is one (1) hour of paid benefit education time for employees a prudent investment? Borrowing $19.00 of front-line productivity time is surely an excellent investment to leverage employee appreciation for the $8,500 spent on their benefits! We once had a new client hand us an envelope filled with 4.1 pounds of paper when we asked for a “new hire” packet. The packet had been overtaken by compliance needs, past employee communication misunderstandings, risk management and time constraints. While Summary Plan Descriptions and other notifications are a requirement, sometimes of value to employees, and prudent from a liability standpoint, employees often disengage in direct proportion to the length and complexity of these documents. We’ve learned it’s important for an employer to provide employees with clear, simple and actionable information once they achieve positive open enrollment meeting attendance. It has been said that benefits are only as valuable as employees perceive them to be. Employees perceive benefits positively when simplified communications promote engagement. Less is more, and we encourage employers to simplify employee benefit communications! On-line enrollment solutions have dramatically changed the HR and employee benefits landscape over the past two decades, especially for large employers. On one hand, great efficiencies abound because of fewer paper enrollment forms, reduced transcription errors, lower human capital processing costs, and a general increase in speed to market. However, has the emergence of on-line enrollment technology increased efficiency while deteriorating communication effectiveness? Technology is wonderful as long as it is coupled with interactive decision support. We find meetings with a live person (in person or telephonic) to be among the most effective mediums, followed by interactive decision support tools, workbook style communication guides, and mobile communication platforms. Multiple methodologies may be used to support different learning preferences. Open Enrollment is the ideal time to capture an employee’s attention. An employer should consider “no default” active open enrollments. Not to be brazen, but an employee’s interest will usually increase when they risk losing something. Such will assist in getting employees to pay attention during open enrollment, leading to a captive audience for simplified, priority messaging. Every employer is different, and strategic HR goals may vary widely on an annual basis. When considering the implementation of new HR strategies, consider placing an equal focus on creating a setting for employee engagement. The best laid HR plans lose efficacy when employees are not actively engaged in the opportunity. With an increased focus on new active enrollment strategies, incentives and operational support, HR teams and employers can regain leverage in using benefits to help attract and retain their most valuable asset, experienced and appreciative employees.